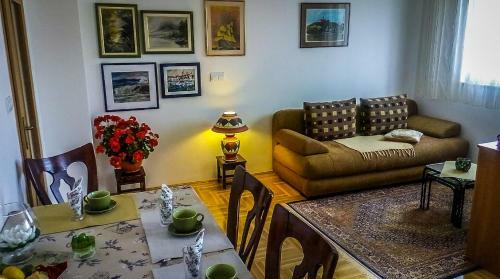 Just 200 metres from the beach and 2.3 km from the UNESCO-listed historic core of Trogir, Z&E Apartment offers self-catering accommodation featuring air conditioning and free Wi-Fi. Free on-site parking is provided. Z&E Apartment hasn't shared anything on this page with you. ... AboutPhotos. More. Contact Information. Miševac 98 b Trogir Croatia . Miševac 98 bHRSD Trogir.